Back to dissipation and folly. Ah, those are to be found on a grand scale as the outrageous seventeen days of the Spoleto Festival and sibling affair, Piccolo Spoleto, wrap up their programs on June 7. The festivals—counterparts to those in Spoleto, Italy—involve hundreds of events staged throughout the city: juried visual art, classical music, opera (a highlight this year is Gustave Charpentier’s Louise), blues, literary salons (including the intriguing “Diehard [James] Dickey Weekend”). Interspersed are street fairs, harbor tours, artists markets, and other excuses to linger in the charmed streets of the 300-year-old city or sit on a rooftop balcony with a cocktail, observing the humanity below. At the tail end of Spoleto comes the lower-key but more storied Sweetgrass Festival, (June 5–6), a weekend celebrating the region’s Gullah-Geechee culture—particularly the basket-weaving tradition, a craft whose legacy spans more than three centuries. Watch basket-making demonstrations, listen to traditional storytelling or gospel and praise music, or overindulge in Lowcountry fare. 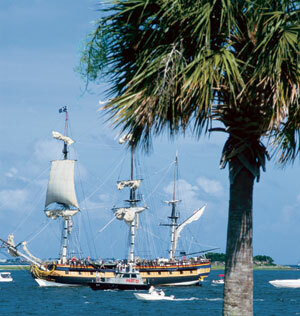 For those partial to hijinks and high-seas adventures, the Charleston Harbor Fest (June 26–29) offers the chance to observe a fleet of tall ships in the historic waterfront. You can sign up for a two-hour cruise aboard the Spirit of South Carolina, tour a number of stately schooners, or merely relax and watch the closing Parade of Ships. If you’re staying in the city, go for the full-on Charlestonian experience and book a room in one of the many historic inns. 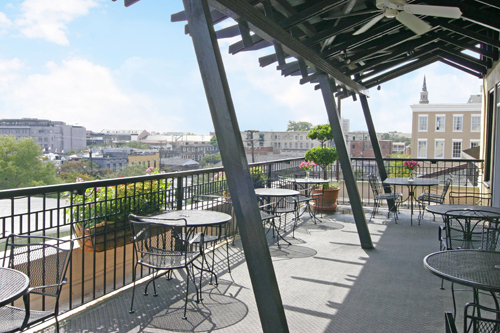 In the heart of market area is the venerable and super luxurious Planters Inn, housed in an 1844 building with architectural details to spare. A courtyard offers an escape from the chaos and the Peninsula Grill is a classic. 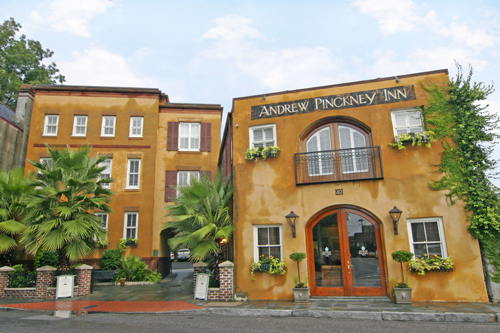 A few blocks away from the market, the Andrew Pinckney Inn comprises a couple of renovated buildings. The prices are more modest than most inns and the (free) rooftop breakfast offers a great way to survey the city below and catch ocean breezes. Over by the bayfront, the Ansonborough Inn offers historic ambiance and a mellow setting. The suites provide flexibility and plenty of space if you’re traveling with children. Most of the rentals on the nearby islands are available only by the week or month, and the vast majority are huge beach houses or condos. 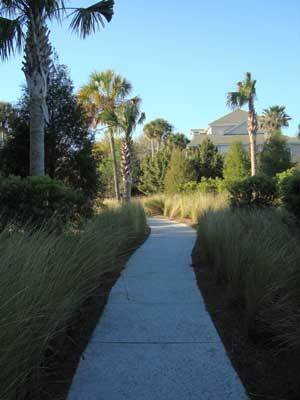 If you want a beachy spot for just a few days and aren’t traveling with a whole crew, good bets are rooms at the Boardwalk Inn or suites at Village at Wild Dunes, both in a newer section of Wild Dunes Resort on the Isle of Palms. You’ll have access to resort amenities and an expansive oceanfront—without having to book a lengthy stay. Foodies will need to make a pilgrimage to FIG Restaurant (the name is not a precious ingredient reference, but the acronym for “food is good”). Chef Mike Lata is known for creating a seasonal menu that uses locally sourced ingredients. For truly awesome variations on the Southern meat-and-three, try Jestine’s Kitchen, just a few steps from FIG. There are a number of worthy fried-chicken plates, including the signature pecan-crusted boneless chicken breast with horseradish sauce. On Sundays go for the shrimp and grits special. Any day calls for a splurge on Coca-Cola cake or coconut cream pie. Take a break from shopping on King Street by stepping into the narrow, dark dining room at Old Towne Restaurant, family-owned for three decades. The grilled local fish and crabcakes are better than anything you’ll find at the (much pricier) places near the market, but what stands out are the Greek dishes based on family recipes. Try the Greek salad topped with thick slices of gyro meat. If you’re staying on Sullivan’s Island or Isle of Palms, forgo the nightmare of finding parking in the historic district and take the Charleston Water Taxi. With regular runs between Patriot’s Point and Charleston Harbor, the water taxi is efficient, and infinitely more pleasant than going by car. Bonus: you’re practically guaranteed a dolphin sighting.